Krieg Chiropractic Center can help you achieve a better life! 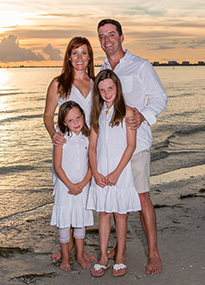 Krieg Chiropractic Center, Dr. Kevin Krieg and Family, Welcome You! For Missoula chiropractic patients – and their families – who want better health and better energy for a better life, Krieg Chiropractic Center is the answer. Helping you and your family achieve your highest health potentials is what this chiropractor in Missoula is all about! Dr. Krieg is a chiropractor in Missoula who volunteers information and is a conveniently located chiropractor in Missoula always willing to field phone calls and answer your questions. Start Today! Krieg Chiropractic Center also offers Massage Therapy. See our Special Offer and then call our office. See why so many of your health-conscious Krieg Chiropractic Center neighbors already have! Call our Missoula chiropractic office today! Providing excellent chiropractic care to Missoula, Lolo, Frenchtown and Stevensville families. Wonderful staff and knowledgeable doctor! After my first treatment today I have to say, so far my hand has not gotten tingly! It was nice to crochet this afternoon and not have that happen. Everyone was very personable and friendly. They made me feel like I had been coming there for years. I am confident that I am going to be able to find relief for my problems. Very skeptical about chiropractors in general, but we were given a great explanation on everything and Dr. Krieg is wonderful! Health and wellness articles published by Dr. Kevin Krieg, Missoula Chiropractor. Subscribe now.